Editor’s note: For National Park Week, we are reposting some of our favorite national park posts! We hope you get out there and enjoy your parks this week, but if you can’t, we will take you to the wilderness as best as we can. The gray wolves of Yellowstone are heard more often than seen. Their eerie howls can echo up to fifty miles, summoning the pack before or after a hunt. Yellowstone’s wolves are efficient predators, able to take down animals many times their weight by hunting in packs. Through strategic harrowing, you can watch them bring down a buffalo here. They are strategic, efficient and effective predators. They are also protected within the park, but this was not always the case. When Yellowstone National Park was created in 1872, the goal to “conserve and protect” didn’t extend to the park’s wildlife. Visitors were free to hunt and kill any game in Yellowstone. The gray wolf was especially vulnerable, even after the Secretary of the Interior regulated hunting in 1873. As an “undesirable predator,” the gray wolf was subject to a massive kill-off by the US Army in 1907 (1,800 wolves and 23,000 coyotes). The 1916 legislation that created the National Park Service included language that authorized the “…destruction of such animals and of such plant life as may be detrimental to the use of said parks, monument and reservations.” This is known as “extirpation,” and the consequences are devastating. By 1926, the gray wolf of Yellowstone was eradicated. This allowed the elk population to grow, contributing to the overgrazing of Yellowstone’s deciduous trees, which affected the small animals and birds that rely on the aspen and cottonwood groves for their habitat, and the fish in the streams churned by more hooves. Without competition from the grey wolf, the coyote population rose dramatically, and those able predators over-thinned the pronghorn antelope population. Park managers, biologists, conservationists and environmentalists were in agreement; the wolf was a necessary part of Yellowstone’s ecosystem. The campaign to re-introduce the grey wolf to Yellowstone National Park began in the 1940s. By the 1960s, there was an explosion of awareness concerning ecosystems. Scientist, conservationist and hunter all agreed that there was a need to restore Nature’s balance. When the Endangered Species Act was passed in 1966, it paved the way for identification and preservation of fragile species. The gray wolf was one of the first animals to be declared endangered. The program to reintroduce wolves to Yellowstone began with 14 wolves trapped in Canada, near Jasper National Park. Seventeen more Canadian grey wolves were captured the next year, and added to the program. The wolves were initially placed in “acclimation pens.” They were released fully into the wild in April of 1996. By the late 1990s, the wolves were making their comeback. This sighting comes from Pendleton’s own Katie Roberts, who shared a Pendleton employee park memory with us. I took a Science class in high school where we got to take trips to both Yellowstone and Glacier. We were allowed access to the parks in the offseason, so we were basically the only ones there. On the Yellowstone trip, we were tracking wolves for our class. They’re pretty elusive creatures, so we didn’t see any until the very end of the day, right before sunset. Not only did we see the biggest Wolf Pack in Yellowstone (at the time), we saw it chase down an elk and kill it! It was pretty crazy, the “Nature Channel” in front of our eyes. I spent a lot of times in both parks growing up, but that was probably the wildest thing I’ve ever witnessed! Wolves are magnificent and eerie, and absolutely vital to Yellowstone’s ecosystem.Today, there are around 100 living in 10 packs in Yellowstone. The effect on the park’s ecosystem has been extensive, thanks to the “trophic cascade” that falls from an apex predator at the top of the food chain to all the animals, birds, insects and plants that make up the food chain of its prey. Wolves actually help to transform their physical environment. Here’s a fascinating video that talks about how the wolves of Yellowstone have changed the rivers of Yellowstone. It is well-worth watching, and explains trophic cascade. Enjoy. We first saw this blanket when Judy Goodman of Joseph, Oregon, contacted us for information on a blanket that belonged to her grandmother, Louise Kelly. The label identified it as a Rainier National Park blanket, but it’s so very different from our current version that we knew it was a special treasure. The blanket is Pendleton’s very first Rainier National Park Blanket, No. 18, introduced on February 1, 1928. It had overstitched ends and a border design of flowers (lupine, paint brush and daisy) on one of three color bodies (white, light blue or moss green). These three flowers are found on Mt. Rainier in these subspecies: Broadleaf Lupine, Dwarf Lupine, Magenta Paintbrush, Scarlet Paintbrush, Subalpine Daisy. They can be seen here under Subalpine flowers in the Blue/Purple Pink/Red folders. Back to the blanket. Four points (indicating the 66″ x 80″ size) were sewn into the lower left hand corner of the blanket’s large center field. 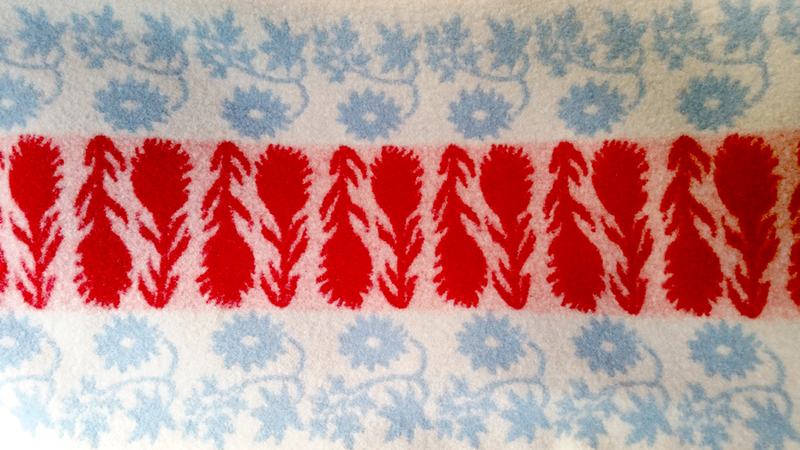 This blanket came in only one size, 66″ x 80″, and was made with virgin wool on a cotton warp. It was wrapped in paper for packing. The wholesale price was $9.00 in 1928 and 1929. 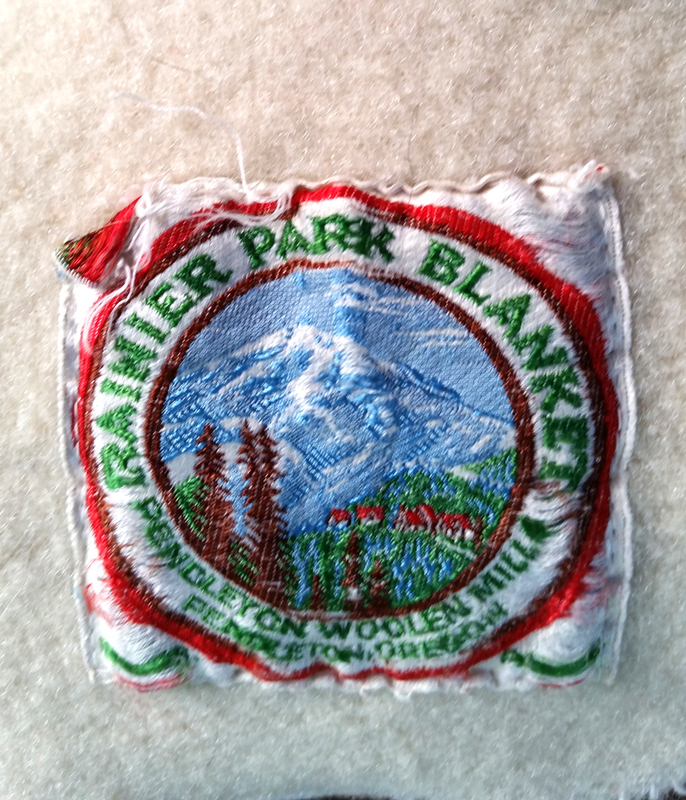 This Rainier Park Blanket is listed in Pendleton’s February 1, 1928 Wholesale Price List No. 6 and in the March 1, 1929 Wholesale Price List No. 8. But it had disappeared by 1934-35 when retail Catalog No. 11 was issued. I have no information about it from late 1929 to 1933, but I imagine it was a casualty of the early 1930s Depression. Ms. Goodman was thrilled to have Fred Coldwell’s information. When we asked her if she’d like to share the blanket on our blog, it spurred her to do some serious family research; not just the names, dates, family tree kind of research, but research into her grandmother’s story. How did she come to the Northwest? How did this blanket tie into her life? The story of a blanket is also the story of the person who owned it. We would like to share Louise’s story, as told by her granddaughter. My grandmother, Louise Kelly, was born on October 26, 1906 to John and Mattie (Landreth) Evans in Taberville, MO. Like many families of this era, Louise had eleven brothers and sisters. She rode a horse to school and purchased school supplies by exchanging farm eggs at the store. Once she’d finished eighth grade, Louise (at age 12 or 13) had to stay home to care for all the other small children in the family. Some of her brothers were never able to attend school. They stayed to work the farm with their father. Louise married at the age of 24 and gave birth to her first child (my mother, Wilma) in 1931. My uncle was born a few years later. The family farmed, raised chickens, made their own blankets and clothes, and preserved fruits and vegetables. 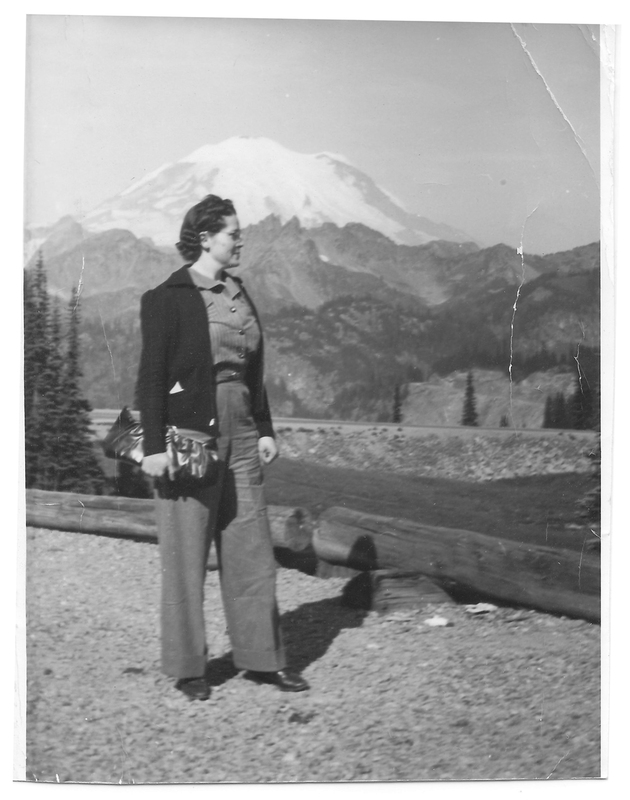 They managed to survive the Great Depression and were looking at a new future when this photo was taken of Louise in 1941 near Mt. Rainier on a trip to Yakima, Washington. The family was taken with the West. Eight years later, the family finally saved enough to move there, settling in Zillah, Washington. My mother was a senior in high school when her father suffered a heart attack. My grandmother Louise found herself widowed with two teenagers. She worked two jobs to support her family, running her own morning café and cooking at another restaurant at night. Percy Kelly was a business man who enjoyed breakfast every morning at my grandmother’s café. He was a potato dealer – buying potatoes right from the field, sorting and bagging them in a warehouse in Toppenish, WA, then shipping by rail using “ice” stops along the way to keep the potatoes cool. He had also lost his wife in 1949. Percy asked Louise out on a date, but she was too busy with work and family. One day at the café, Percy took off his suit jacket, rolled up his shirt sleeves and started to wash dishes with Louise just so he could spend time with her. That was the beginning of their love story, and how this beautiful Pendleton Mt. Rainier Blanket came into my possession. Percy (who I knew as Papa) and Louise were married in 1951 and moved to the Columbia Basin in 1952. They grew potatoes near Winchester, Washington. Papa was a member of the Washington State Potato Commission. They built their own potato storage and started to ship potatoes. This was the beginning of their potato empire, and their life together. Percy had two daughters who were still in high school at the time. My mother started college and her brother enlisted in the Army. Louise always loved Mt. Rainier. 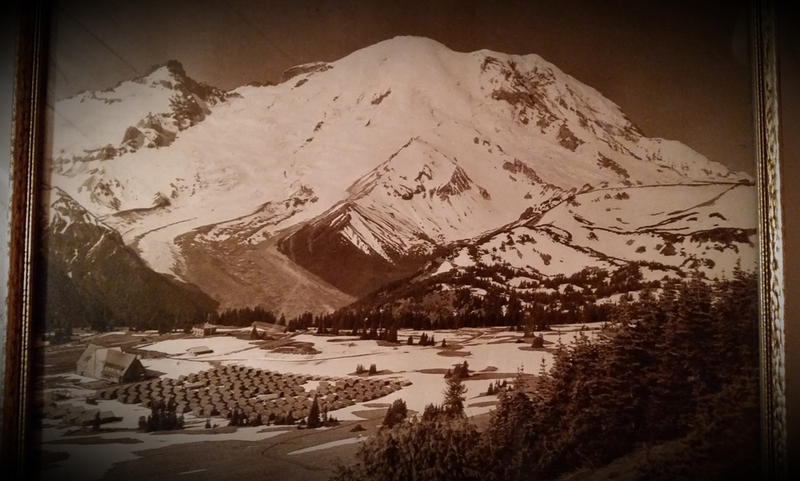 This photo of the mountain and a CCC camp at its base hung on the wall of her home for most of her life. 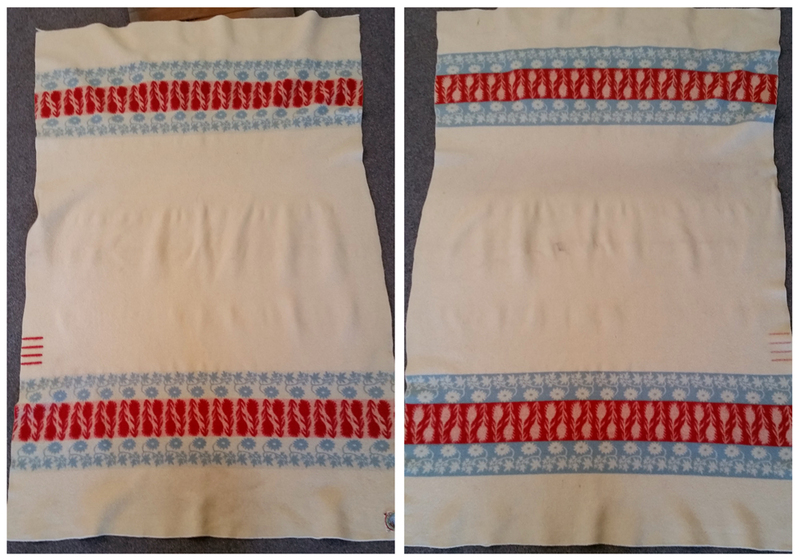 So that is the story of one National Park Blanket and the person (and family) it belonged to. The blanket spends most of its time displayed in Judy’s Oregon home. Currently, the blanket is on display at Wallowology (www.wallowology.org) where Judy works. Above it is Louise’s Pendleton 49’er jacket, a beauty that appears to have all its original shell buttons—a rarity. You can pay both of these treasures a visit if you’re in the neighborhood. 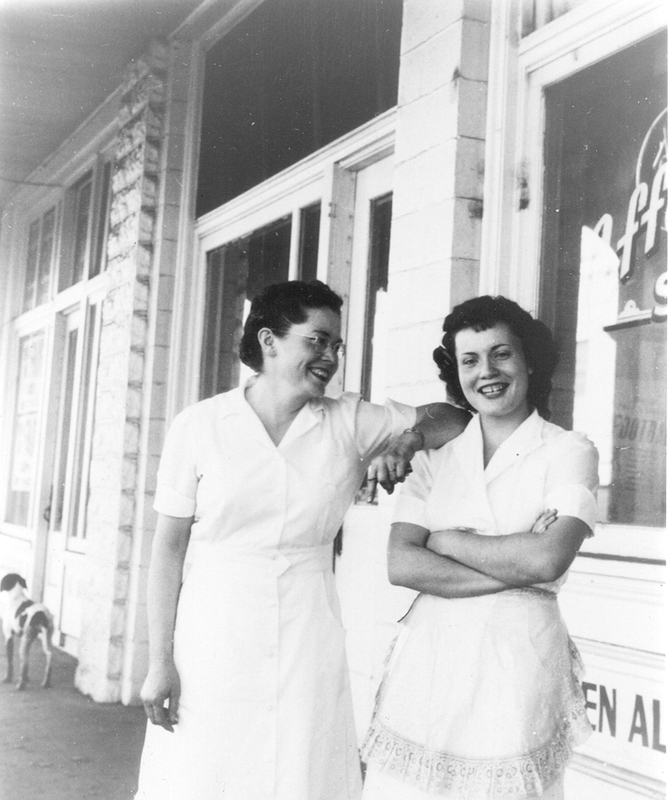 Our thanks to Judy for sharing her grandmother’s story and her photos. Monday, April 22nd is Earth Day. 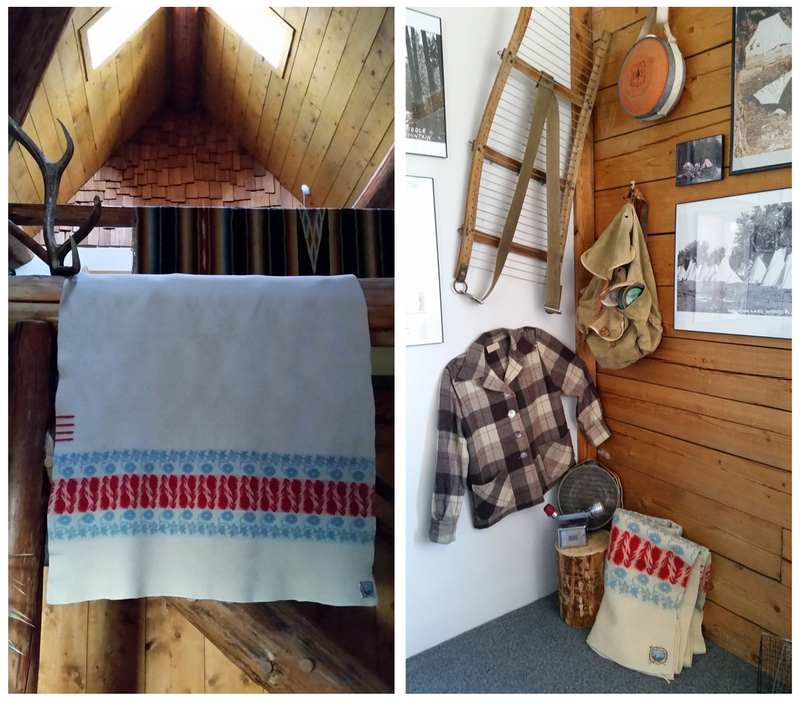 We’re celebrating with an Instagram giveaway here: @pendletonwm Check it out, and you might win a Pendleton Eco-Wise Wool® throw! There are many, many products out there claiming to be green. From the sheep to the shelf, Pendleton Eco-Wise Wool® passes strict standards of sustainability and stewardship, verified and certified. This means that if you were to take a Pendleton Eco-Wise Wool® blanket and bury it, it would leave the earth better, not worse, for the addition. That’s a nice way to explain it, but we make blankets for you to use, not to bury. Pendleton Eco-Wise Wool® products are designed to be delightful to touch, easy to care for and beautifully colored. And they are woven in the USA of 100% virgin wool. Blankets come in solids (see them here) and stripes, checks, plaids (click here to see those); and be sure to see the new Pendleton Eco-Wise Wool® striped throws with whipstitch binding. These are just begging to be thrown over the arm of your sofa. There are also fringed throws (here) and shams (here) to complete your bedding ensemble. And in addition to being eco-friendly, all these products are woven and made in the USA. There are 209 rivers in the United States protected by the Wild and Scenic Rivers Act of 1968. Oregon has 58 of those which, when added together, equal almost 2,000 miles of protected, scenic river. The Rogue River was one of the original eight rivers inducted into the program and is one of my favorites in the state of Oregon. We run it at least once a year – me and the band of rowers I run with. Our group of river runners is diverse and highly skilled in the arts of rowing, problem solving, outdoor adventure, camping, knot tying, open-fire cooking, fly fishing, river rescue and other handy skills. A few months ago, on the 50th Anniversary of that legislation, we invited Oregon Public Broadcasting to join us on a tribute trip as we tipped our hats and raised our glasses to the river runners who came before us on the Rogue and charted a course we are privileged to follow every Fall. For this trip I was privileged to row a replica boat with a design that originated in the early 1940’s – on loan from Roger Fletcher who helped build the boat that’s a perfect twin of the original double-ender on display under the shelter behind Paradise Lodge on the Wild and Scenic Rogue. Rowing a boat with such a history on this tribute trip was pretty amazing. 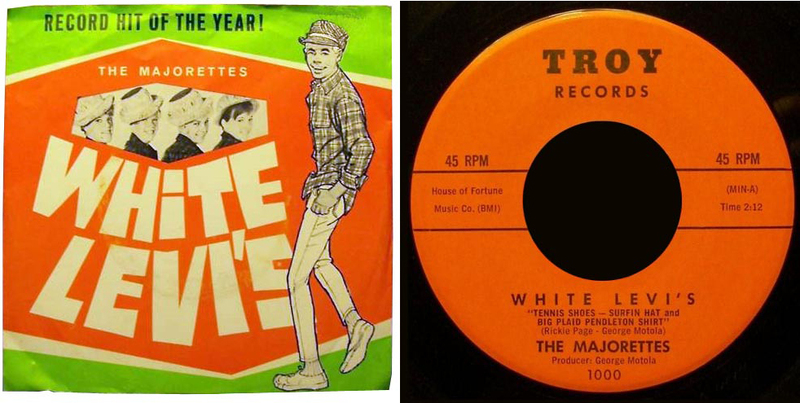 (I returned it to Roger after the trip in the same shape as when I picked it up – whew). As we wrapped our hands around the worn handles of our oars and pushed off from Graves Creek on an early morning last October, we were immediately swept into that “other” world of white water, jagged rocks, technical rapids, steep green mountains, and a connection with history. Our boats became time machines once again and took us back to an era where the boats were wood, the bears patrolled the river banks and otters barked at intruders. These wild and scenic rivers plunge us into a wilderness which seems as untouched and raw today as I imagine them one hundred years ago. Since the winds of the west blew us together fifteen years ago, our group has rowed thousands of river miles and several thousands rapids. There is a rhythm to our routine which is second nature and familiar even though it can be months between trips. The Oregon Field Guide crew of three had their own rhythm, having shot thousands of hours of outdoor footage together. Their heavy cameras and assorted gear was as weathered as our own river gear and showed the signs of being dragged up mountains, down rivers, and through forests all over the Pacific Northwest. 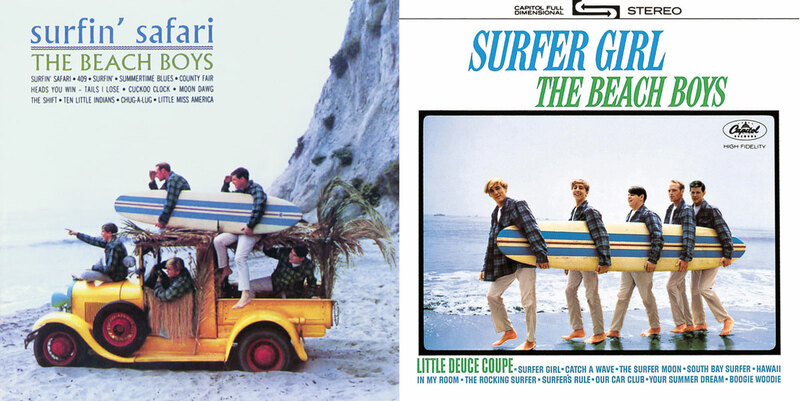 Both groups meshed well together from the very beginning. We shared a mission on this trip to connect people to the Rogue River and celebrate its history. We wanted to pay homage to the river runners of the Rogue even before there was a Wild and Scenic Rivers Act. We hoped to take viewers back to a time of wood boats and wilderness where they could smell the campfires and feel the dew at first light on the river. So when I was asked the question, with a microphone in my face and the camera’s rolling, “Why is it so important to keep these wild places wild?” imagine my disappointment when I opened my mouth and nothing came out. I froze. In my big moment to drive the point home and talk about why these rivers should be protected I stumbled and stuttered and could not form a complete sentence with all the points rattling around in my head. I wanted to talk about how small and vulnerable we all feel when faced with the challenge of rowing a difficult rapid in such a wild and remote place. I meant to compare the vulnerability of our boats to our wild rivers and remind people that if you take your eye off the ball for even a second when rowing a boat you will lose it. Same with these wild rivers. Take your eye off the river and someone will be there to exploit it with a casino, a helicopter, a dam, a tram, mining rights, and any number of things that would compromise its character and make it less wild. These wild and scenic rivers are beautiful, natural, rugged, and incredible reminders of how spectacular the wilderness can be when it is undeveloped. We need these wild places as sanctuaries to visit and connect with nature in a state of raw and wild beauty. Selfishly, we want these rivers to stay wild and scenic so we can challenge our skills as river runners and outdoor enthusiasts in an environment that is primitive and demanding. We want to be able to pass this gift of unspoiled wilderness along to our children’s children – so we will continue to keep our eye on the ball to preserve our boats and our rivers just like the river stewards who came before us. When the Oregon Field Guide camera was rolling I was unable to find the words, but am quite sure the pictures and video will have a far greater impact than anything I could’ve said anyway. You’ll have to watch the program to find out!